We started a fundraiser with Water.org to raise $800 to bring safe drinking water to dozens of people. Please click here to make a tax-deductible donation to this amazing cause. We have just one day left! While running what seemed like a million last-minute errands yesterday there was something very noticeable beyond the traffic and crowds, it was the cold individual holding a cardboard sign on nearly every corner in the city. It put into perspective what is important this holiday season, and it isn’t buying the latest overpriced toy or big screen TV. There are so many people out of work, homeless, and/or suffering from an array of physical and mental illnesses that need assistance in our country. We decided to bake a ham this morning and make sandwiches to handout to the hungry souls on Seattle curbs. I am sure our sandwiches will only make small dent, but we hope that this short story inspires you to help someone or do something generous where you live. If we all do this together, every year, the giving spirit of the holidays will cover the nation. Here are the before and after photos of my $3.99 desk from Goodwill. The desk is not only a perfect fit for the space but it is solid, with clean lines and a warm wood hue. The patina on the surface from being used gives it great character and the modern, no frills chair, also recycled, is a perfect fit. I couldn’t be happier. I cannot tell you how elated we are to have found this gem at, Ballard Goodwill, for the Living Aware office. This simple, solid, well-constructed piece of furniture was $3.99. I am not kidding, $3.99. This desk is an absolute PERFECT fit and we have been able to turn someone else’s trash into our treasure. We will show you how to freshen this workspace up into something even better with a few carefully selected accessories as we chronicle our office buildout with the incredible, Prime Asset Group. 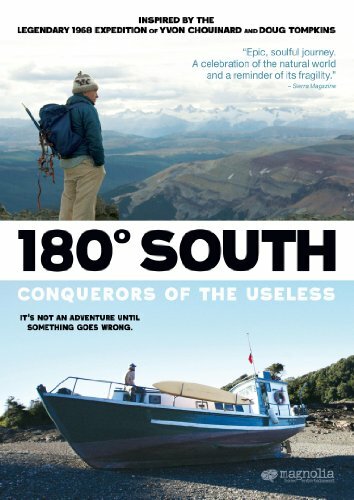 By far, 180 South, is the best movie I have seen in a while. It chronicles the founders of North Face and Patagonia’s past journeys and some new adventures with the next generation of amazing outdoorsmen. Their remarkable reflections on nature and preservation are simple, profound, and inspiring. This film is a must-see.